I set out on May 5 of ’09 to find myself a decent margarita. I haven’t had a decent margarita since I left Texas back in ’05. Normally I’d pass on “amateur nights” (New Years, 4th of July, St. Patrick’s day) but I considered this a minor amateur night and a good excuse to kill my inner hermit and get out of the house. On a tip from a friend, I headed for ¿por qué no? on Mississippi Street looking for some fresh tacos and a margarita. As I rolled up on the place looking for a spot to park, I noted that the line was out the door and all the streetside tables were full. I almost turned around and went home but decided to take the night off and dig around the area. It’s one of the many little “developing” neighborhoods that have sprung up around Portland in the last five years. I headed up the street and peered into the little shops that line the street. 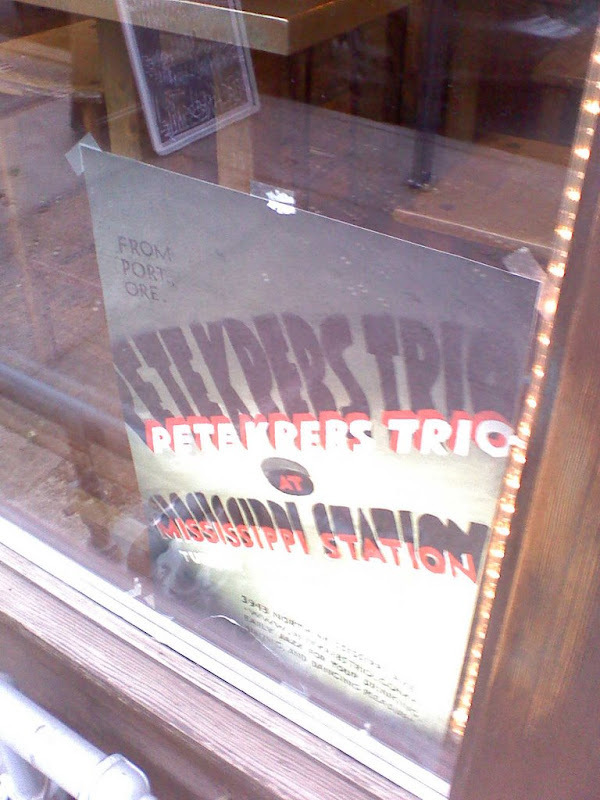 As I looked into Mississippi Station, I noticed a three piece band setting up for the evening and decided to step inside. 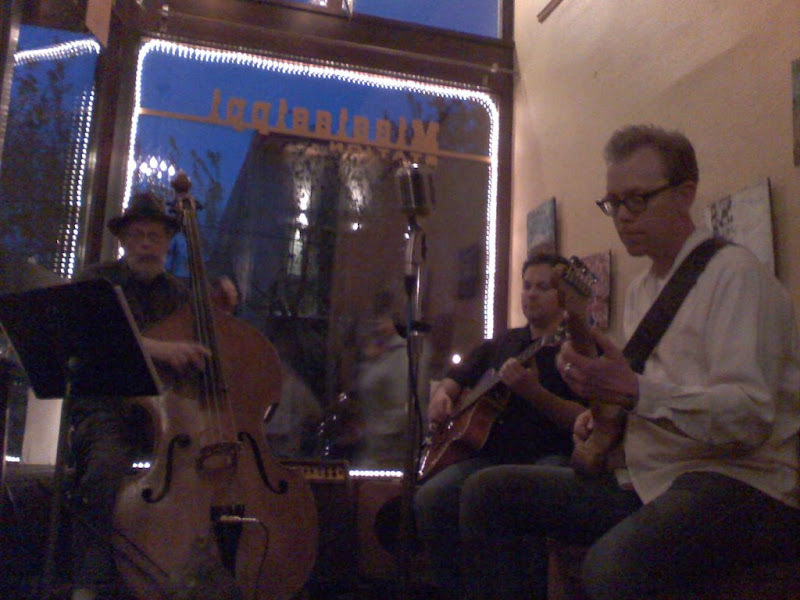 The Pete Krebs trio features David Langenes on guitar and Keith Brush on upright bass with guitarist and singer Pete Krebs heading up the mic playing a mix of swing, blues and jazz that should not be missed. They play there every Tuesday night and I’ll definitely be back. I had a pint of Ninkasi’s Spring Reign, which is another ‘not to be missed’ gem, sat back and enjoyed the show. Miss Station is a great venue with an awesome patio out back that should be quite the hoppin’ spot once the weather gets a little better. When the beer was gone, I stepped outside for a smoke and chatted a bit with the bass player before heading up the street to see what else was going on. Most places have some kind of cool patio out back and they’ve all got their own kind of vibe going on. This is definitely an area worthy of a few nights of exploration. I did finally get my tacos once ¿por qué no? had calmed down a bit. The pescado was the hit of the three and the margarita was good enough. After a bit more wandering, I made my way back to Miss Station and had a stout for dessert while the band finished up their second set. If you’re looking for something to do on a Tuesday evening, check these guys out.